Dance Marathon at LSU’s (DM at LSU) Management Team traveled to the University of Maryland for the national Dance Marathon Leadership Conference. Pictured L-R: Alyssa Camet (Executive Director of DM at LSU), Chris Hixon (CMN Hospitals Southeast Regional Dance Marathon Manager), Jeremy Bruhl (Finance Director of DM at LSU, Jen Burleigh (External Director of DM at LSU, and Victoria Huynh, Internal Director of DM at LSU). 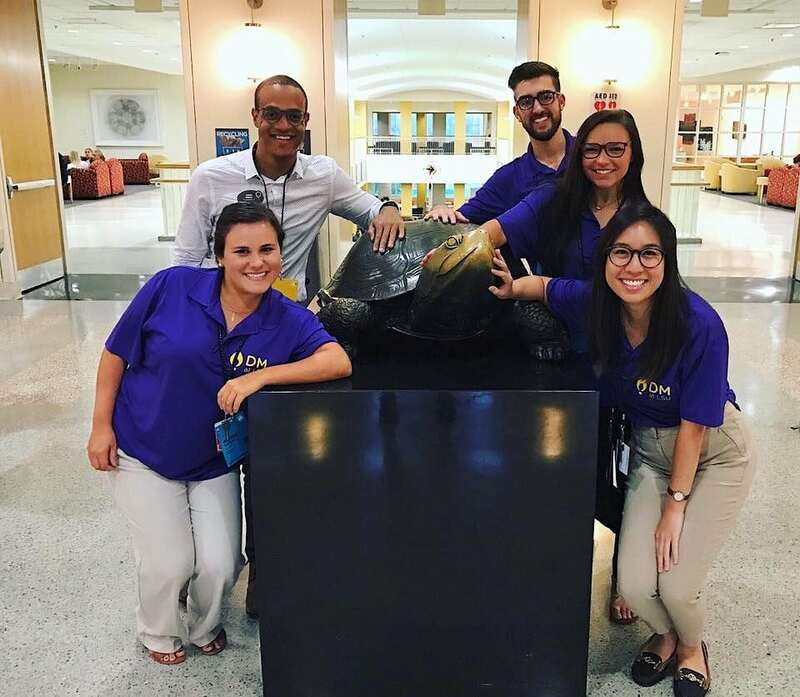 On July 20th – 23rd, the management team from Dance Marathon at LSU traveled to College Park, Maryland to attend the 2017 Dance Marathon Leadership Conference, hosted by the University of Maryland’s Terp Thon. Dance Marathon Leadership Conference is a weekend long gathering where Dance Marathon programs across the country come together to collaborate and share ideas about the success of their programs. 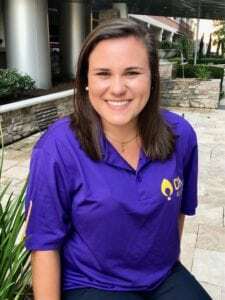 Serving as the Executive Director of Dance Marathon at LSU, I benefited from meeting with multiple different schools, such as RebelTHON from the University of Mississippi, Dakotathon from the University of South Dakota, and KSU Miracle from Kennesaw State University. We discussed various components of our programs such as fundraising and recruitment strategies and how to overall grow our organizations. 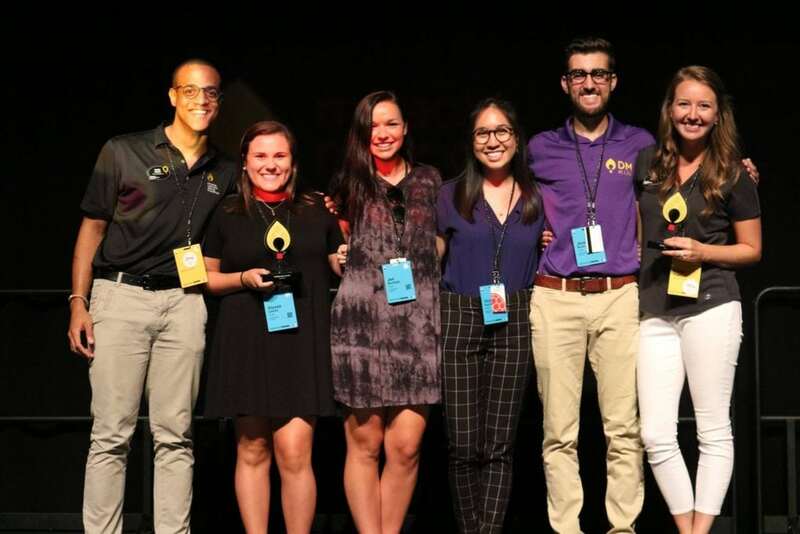 The Children’s Miracle Network Hospitals’ staff delivered numerous presentations varying in topics from leadership development, social media strategies, stewardship of partners, and many others. Our team took away incredibly useful information that will help grow our program this year. Dance Marathon at LSU accepting the “Best Collaboration Award” from CMN Hospitals Regional Managers Chris Hixon and Emily Myers. On the first day of the conference, Children’s Miracle Network Hospitals awarded Dance Marathon at LSU and the University of Alabama Dance Marathon the “Best Collaboration Award.” These two programs earned this award by partnering on an annual week-long fundraising event called “Beat Bama/LSU Week.” Every year, our two programs team up to out-fundraise each other’s Dance Marathon during the week leading up to the infamous rival football game. This past year, our two programs fundraised over $83,000 for our local Children’s Miracle Network Hospitals, Our Lady of the Lake Children’s Hospital in Baton Rouge and Children’s of Alabama in Birmingham. Our team from Dance Marathon at LSU is very grateful for our experience this past weekend. We thank the Children’s Miracle Network Hospitals’ staff for providing us with such helpful tips and knowledge to help us make our 5th year of Dance Marathon at LSU so successful. If you would like to make a donation to Dance Marathon at LSU, visit our page here. All donations will help build the new freestanding Our Lady of the Lake Children’s Hospital, which is set to open in 2019.